The available georeferenced charts and plates can be discovered by a single touch at the airport icon. Georeferenced charts allow you to fly complicated procedures and provide improved situational awareness. Besides the free public AIP charts, we also offer select commercial maps and chart products in EasyVFR. For all optional charts and plates, visit our webshop. 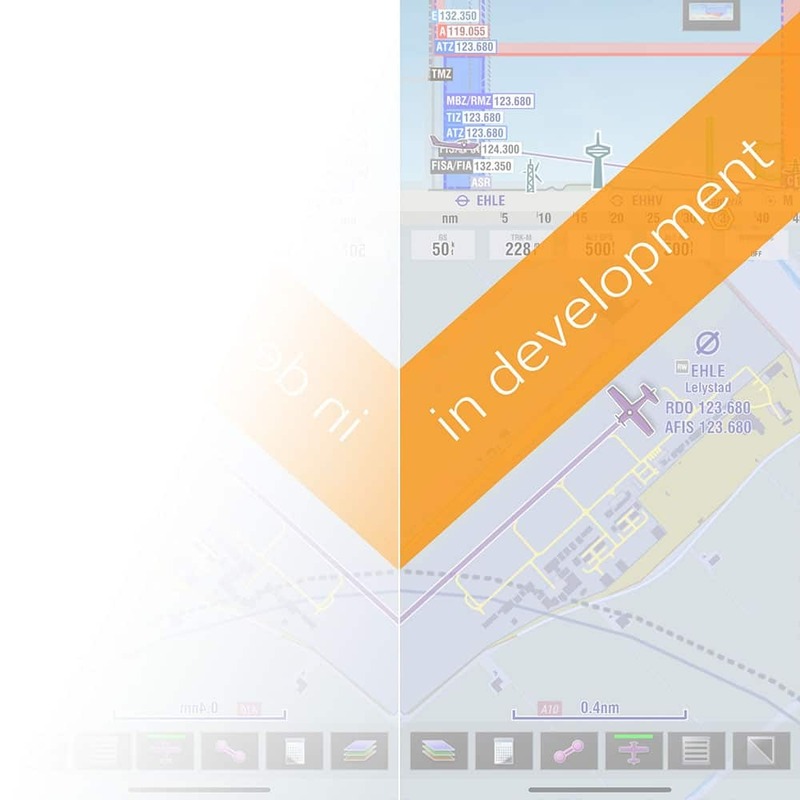 *AIP charts are available for free in EasyVFR for licensed airfields in the UK. Pooleys charts are available at additional charge. Where no charts or plates are available, we use our extensive database to provide you with the necessary information to fly a safe departure or arrival procedure. For many airports EasyVFR displays traffic pattern direction and altitude, and in select countries the actual shape of the traffic pattern is shown. Taxiways are shown based on OpenStreetMap data. Although this is not an official aviation data source, it can be very useful when no chart is available. Georeferenced approach charts on your moving map can give you that extra bit of confidence that you need to truly enjoy exploring other places. "That little airplane moving over the Approach Chart of your destination makes even the most challenging procedure easy."